Jenelle Stadstad is probably the only administrative assistant in Knight Ridder who gets calls asking her boss to help identify wild birds. And Grand Forks Herald Publisher Mike Jacobs, who writes a birdwatching column for the Sunday paper, is happy to help. What is unusual is that Jacobs has the phones set up to ring in his office first. Only if he is unavailable does the call bounce back to his assistant. 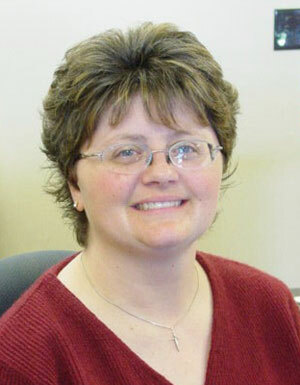 Stadstad has worked for Jacobs for nearly 10 years. She started at the newspaper 19 years ago as a senior in high school, working on the newsroom switchboard at night. Her first year as an administrative assistant was a baptism by fire – and water: The Red River flood and subsequent downtown fire in 1997 destroyed the newspaper building. These days, the atmosphere is back to normal, and Stadstad has to deal with her share of cranky callers. “People around here are pretty conservative and get bent out of shape pretty easily, especially about things on the editorial pages,” she said. Several years back she even had to cooperate with the FBI because a caller kept leaving death threats for President Clinton. The upside to her job, besides dealing with prominent state and local figures? “I know more about birds than when I started here,” she said with a laugh.